Market Notes – Transportation issues continue to hold back Prairie grains and will be doing so for a while yet. There is little solutions in the way of short-term fixes (except ours) with focus squarely on fixing it for the future. It will take us 5-10 years to see a crop this size again so those fixes have more chance of fueling the Railroad’s apathy than helping the farmer. 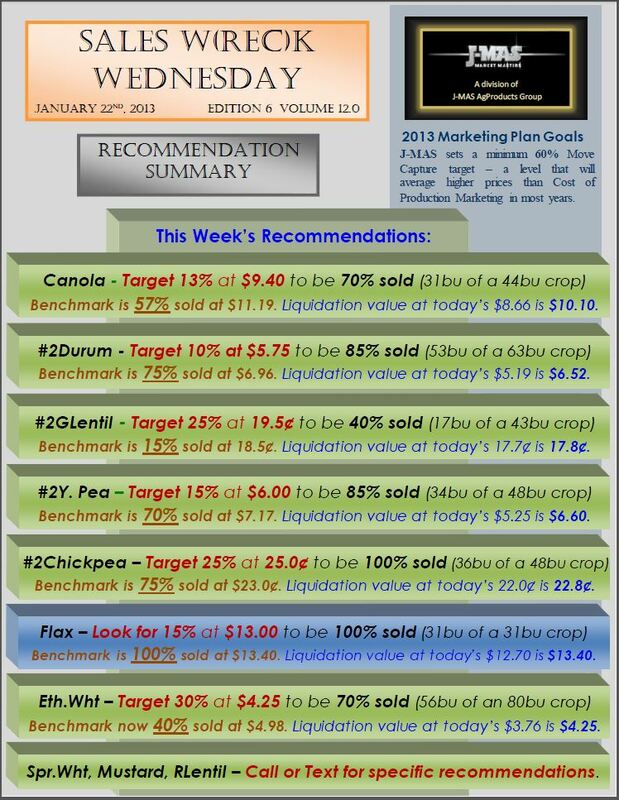 Remember: Before taking any Action, you should be viewing the full report for why we chose these particular “Line in the Sand” sales/target levels or else how will you know which side of that line to stand on for your farm. Grain Transportation solution that works NOW and puts Rail Lobby to work FOR Prairie Farmer. Make a “TEMPORARY” change to the Revenue Cap formula to allow competitive bids from Grain Elevators so they can compete with Oil for rail capacity. 8-10 months should suffice. – Railways, who are same as any company and looking to add value to their shareholders, will see they have only a 10 month window to make good Money on grain before the Formula is changed back. They will not only look to add car supply (and quickly to take advantage while the window is open) but could also put their lobby into action along with farmer voice. – Elevators, who have been raising Basis by 30-100/mt to discourage farmer selling, have that ample cash – and now the ability without the Revenue Cap – to more competitively bid against Oil Industry for train units ($2700-$9000 more per car). They could now put their money where their mouths currently are. – Farmers, who are currently seeing low bids and little movement, would see both pick up. 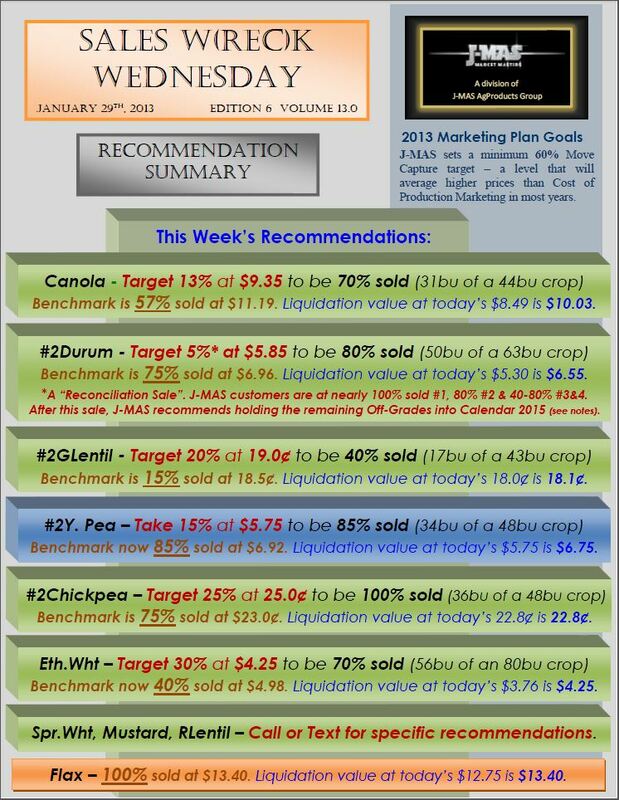 Not only would 2013 crop prices react to tightening domestic supply but 2014 Canadian prices too as carryout would no longer be burdensome. Canada is an island of low pricing due to a logistics issue that would be mostly solved. – Government, who are a lumbering machine at the best of times, would not be facing the battle to rescind the law the Revenue Cap is a part of but would only need to temporarily tweak it – a Revenue Cap Holiday if you will. Nor would they have to go against the massive Rail lobby to do it. They would have that entity lobbying for the change. We need to give the Canadian Transportation Agency the legislation/authority/incentive/wherewithal to raise the cap for a limited time. Save the sweeping changes to the industry for when our crop is this big, year in and year out. This year’s yields are an anomaly (did everyone that calls this the new normal forget about 2012 that quickly?) and needs to be dealt with swiftly not down the road. This big crop should still be seen as a harbinger of things to come, however, as genetics and technology catch us up to what the weather did this year. So long term initiatives should not be abandoned altogether but a 5-Year study can deal with things to come not things that are here right now.